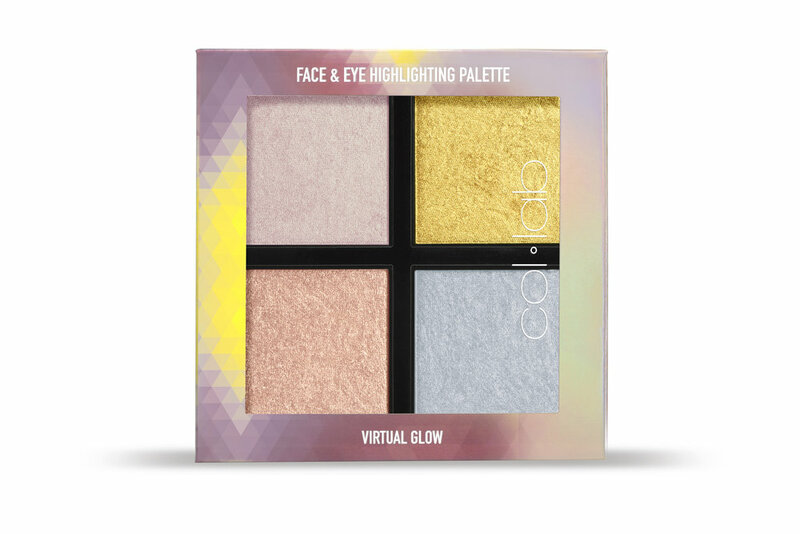 Discover four vibrant yet buildable limited edition highlighters in an incredibly silky powder formula. Add a subtle pop of color or layer on for a bold, intoxicating look. Mix and match for a customizable, multi-dimensional glow. Can be used wet or dry. FACE & BODY: Sweep over high points of the face, shoulders or décolleté using COL-LAB Multitasking Face Brush. Virtual Glow INGREDIENTS/ INGRÉDIENTS/ INGREDIENTES: OCTYLDODECYL STEAROYL STEARATE, PENTAERYTHRITYL TETRAISOSTEARATE, DIMETHICONE, ISOHEXADECANE, ISODODECANE, PHENOXYETHANOL, SILICA, TIN OXIDE, ETHYLHEXYLGLYCERIN, SYNTHETIC FLUORPHLOGOPITE (TOP RIGHT SHADE AND BOTTOM RIGHT SHADE). MAY CONTAIN/PEUT CONTENIR/PUEDE CONTENER: MICA (CI 77019), TITANIUM DIOXIDE (CI 77891), IRON OXIDES (CI 77491, CI 77492, CI 77499), RED 40 LAKE (CI 16035), MANGANESE VIOLET (CI 77742), ULTRAMARINES (CI 77007).